God’s Word promises that through the Lord’s mercies we are not consumed. And because His compassions fail not, our mercies are new every morning. Great is Your faithfulness God. A rousing “Thank You Lord” is appropriate. This morning I was watching a story on the television of a young man who has endured the death of his mother in his arms at a very young age. As the interview progressed the young man said, “Sometimes you smile to keep from crying.” That statement impacted me. I grabbed the first blank sheet of paper I could find which was an envelope and jotted it down. God has certainly been faithful to this young man each morning as he woke up. The young man proceeded to say how much his life has been blessed. I started to think deeply about what I had just heard. How often are we asked, “How ya doing?” How often do we reply, “Doing good” and we move on. I have replied the same way at times so that I could avoid a long conversation with someone about exactly how I was feeling. But this post is not about how I’m feeling but rather how the other person feels when they reply, “Doing good.” God has given us His Holy Spirit to help us discern at times when someone is hurting or struggling so that we can show the compassion of God and offer His mercies to them. I have to ask myself do I really cultivate that discernment? I thought of how many times the young man was asked how he was doing over the many years since his mother’s death. I thought of his emotions and how he really wanted to cry but yet smiled. Today his life is being used as a testimony of God’s mercies and faithfulness. He has moved past the event and into his testimony for God’s glory. We all know of people who have faced or are facing very difficult and emotional events in their lives. The Holy Spirit can bring us into an understanding of the need for a compassionate heart and the ability to offer grace and mercy. Sometimes it is accomplished by words but sometimes it’s accomplished by a loving glance into the person’s eyes where no words are needed. 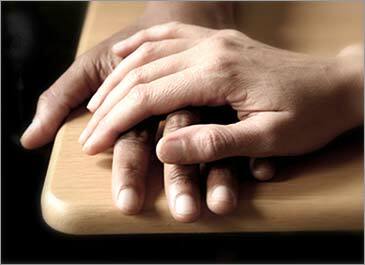 Sometimes just holding their hand or sending them a card communicates our love. Friend, my prayer is that God would give all of us His Holy Spirit discernment so when we encounter a person who may be looking for a compassionate and understanding heart, we would be ready and obedient to respond as God directs. It’s important to remember that the person more than likely is not looking for you to solve anything for them. They are looking for the compassion and mercy of a faithful God. Remember others smile to keep from crying. Maybe just maybe when you need God to send you a person in your time of need with His compassion and mercy, He will. God is set apart from all other things. God is holy; His nature is holy; His name is holy and His dwelling place is holy. As I lay in bed last night, the thought of God being above all things resounded in my mind. God is far above, beyond and outside all of created order. And in the midst of our imperfections, God calls us to be holy as He is holy. “I beseech you therefore, brethren, by the mercies of God, that you present your bodies a living sacrifice, holy, acceptable to God, which is your reasonable service.” (Romans 12:1 NKJV) God’s pattern of thought and attitude of His heart is holy, righteous and good. It is expressed in His Word and also in the outworking of His mercy and grace; ultimately beyond human understanding. But there is hope. We as believers have the mind of Christ. “For “who has known the mind of the Lord that he may instruct Him?” But we have the mind of Christ.” (1 Corinthians 2:16 NKJV) Through the Holy Spirit, we have understanding of the things of God. The mind of Christ reveals the essence of God’s nature; including God’s holy nature. Having the mind of Christ leads to holiness. Believers are enabled to grow in holiness on account of the sacrifice Jesus paid on the cross and through the sanctifying work of the Holy Spirit. What should our response be to God’s calling us to be holy? We are to have a repentant heart, obedient to God’s call, and driven by faith. 1 John 1:9 NKJV – If we confess our sins, He is faithful and just to forgive us our sins and to cleanse us from all unrighteousness. 1 Peter 1:22 NKJV – Since you have purified your souls in obeying the truth through the Spirit in sincere love of the brethren, love one another fervently with a pure heart. Galatians 5:5 NKJV – For we through the Spirit eagerly wait for the hope of righteousness by faith. Friend, the holiness of Jesus Christ is seen in His divine nature and work, as He stands apart from and above the created world with divine power, authority and purity. Recognition of the holiness of Jesus leads both to a realization of sin and unworthiness, but also it leads us to worship and adoration of Him. Prayer is the highest form of worship. Why? Because it sets God in a place where He is higher than all things. Prayer says, “Holy God, we acknowledge that it is only You who can answer this prayer. Meet me God at my need.” Think about this friend. Our Holy God wants to gather up your prayer and take it Heavenward to be captured by His mercy and grace and to be answered for God’s glory and your good. Hallelujah!!! Mark 1:35 NKJV – Is that You, Lord? I’ve blogged about going into the still of the night to pray where you can be alone with God. These are the best of times with the Lord. There’s something about the stillness that enables your senses to experience things that you wouldn’t normally notice. Your ears become more aware of the sounds of the night. Your eyes get accustomed to the lack of lights and become keener; more able to see through the darkness. Jesus also enjoyed the times before daylight to pray. There have been times in the middle of the night or very early morning that I have woke up only to feel a pressing need to pray. I believe that the Holy Spirit at times stirs up my heart and this causes my body to wake up and find a place to pray. Sometimes the things brought to my heart and mind are individuals. I sense the Holy Spirit leading me to pray for specific people at times without the knowledge of any particular need. Then there are times that I’m not praying for individuals, but rather I may be praying for events, or churches, or God’s presence over a community, or even Holy Spirit revival. What is my point? Prayer is a part of every Christian’s life. Or should I say, God commands us to pray in His Word. His Word doesn’t say when to pray, but it does say “that men always ought to pray and not lose heart.” (Luke 18:1 NKJV) Prayer is our opportunity to have conversation with God. Have you ever been called late at night by a friend or maybe a family member? And they may have said, “Did I wake you?” And your response may have been, “Oh, not really. I was just laying here.” After all of the niceties, you spend time in conversation because they must have called you for a reason and that reason was important to them. Well, I believe the Holy Spirit does the same thing. The Holy Spirit has a reason and it’s important to Him that He gets your attention. We may never know what a person is facing in the people the Holy Spirit brings to our hearts and minds, but that’s ok. I leave that to God. If we will spend time talking to family or friends to hear and help them out, how much more important is it to hear what the Holy Spirit has to say. You might say, “I’ve never experienced that. I’ve never felt the Holy Spirit needing me to wake up in the middle of the night.” You may never have. And that’s ok. No condemnation here. But I’m just saying again, prayer is our opportunity to spend time with God and have conversation with Him. If you feel the sudden presence of God and the need to pray, take the time to pray. No matter what the time. God will certainly bless your obedience. Heavenly Father. Thank You for those times You send the Holy Spirit to stir me up in the middle of the night to spend time with You and pray. Thank You Lord that I have experienced that. Lord, help me to lay aside the time of day and the things that would distract me, and lead me into Your presence. In Jesus Name. AMEN. What an incredible promise of the Lord. Jesus was giving final instructions to His disciples on what was next. What would lie ahead for them. This was Jesus reassurance to them. That God would send “another” Comforter. The true meaning here in the word “another” is from the Greek word “allos” which means “another of the same sort”. Jesus was telling His disciples that the Comforter would be just like Him, an exact representation of Himself. The disciples were hearing that even though Jesus was leaving, God cared enough for them to send His Holy Spirit who would live and abide with them forever. Wow! I remember hearing this passage as a new believer and it impacted me a great deal. It gave me a feeling of great security in Christ; that the Holy Spirit would live and reside in me to guide me along the way of serving Jesus. I realized I wasn’t going to have to follow Jesus alone and be a servant of Him all by myself. That God had sent “another”, just like Jesus to walk with me, to guide me, to teach me, to comfort me. In my prayers in the morning, I try to remember to pray that the Holy Spirit direct my path so that everything that I say and do would bring honor and glory to God. What great love God has for us that since the beginning of time, God’s plan was to be with us at all times. Thank You, God!! !